I missed last week although I took pictures. I will post both sets. As soon as I think things are up I tend to take a step or two back. All that time I sat there wondering of I should switch to vlogging I could have just written this post. I really do like blogging I just need to get my rhythm back. Anyways onto the topic. 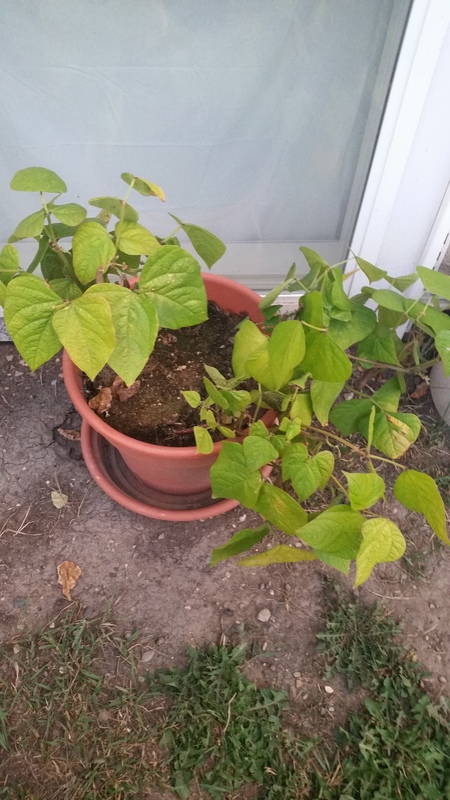 My beans are nearing the end of their life. 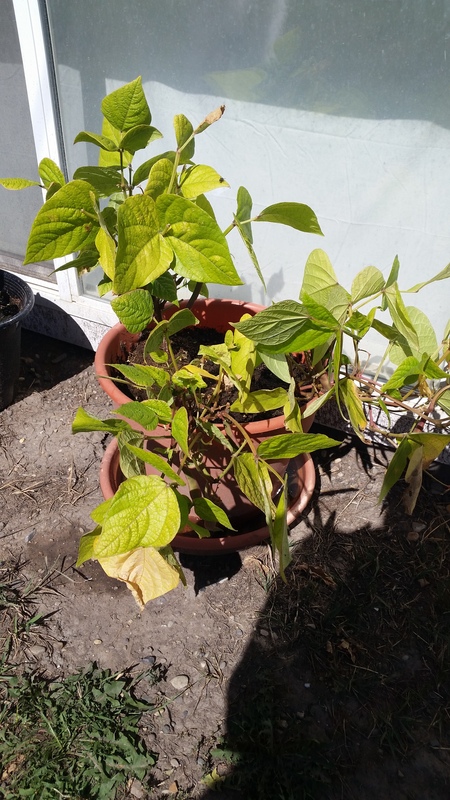 I f there were only two of the plants in the pot they would have done even better. I have gotten a decent amount from the plants and there are still some coming in. 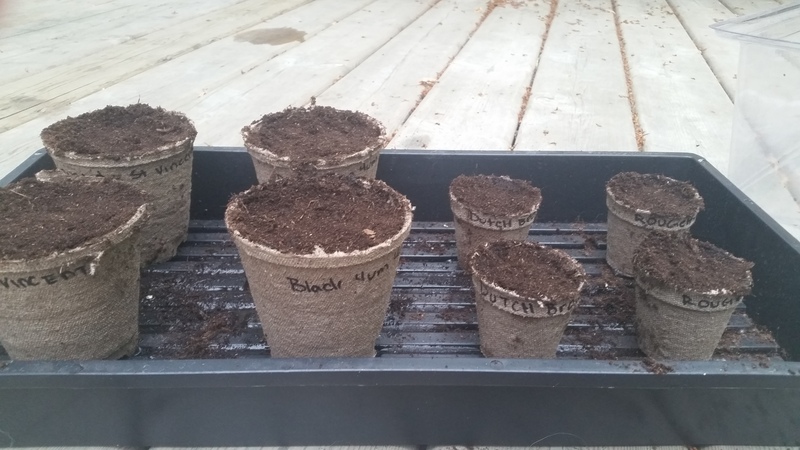 I think for my first time planting any kind of beans I have done quite well. 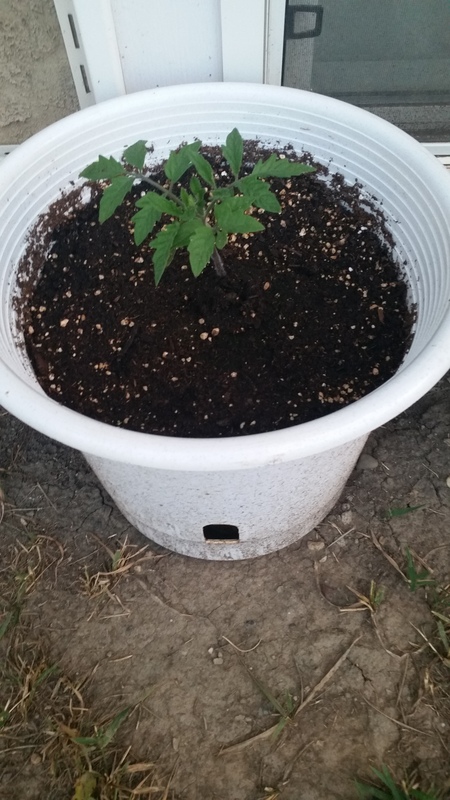 I got about five off the plant in week ten. This last weekend I picked closer to ten. 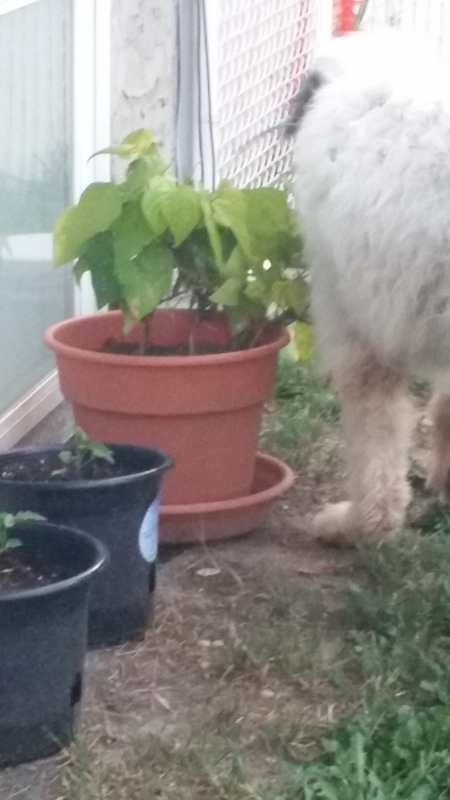 Galaxy is in love with beans though. She stole a few of them this past weekend. These ones initially have a sweeter taste than the green and yellow ones mom grows. I have yet to actually cook them though. The Black Yum Yum has made a huge amount of growth. There are no signs that is getting to cold for them at night either. These ones as well have made quite the growth spurt too. However now that they have gotten bigger. 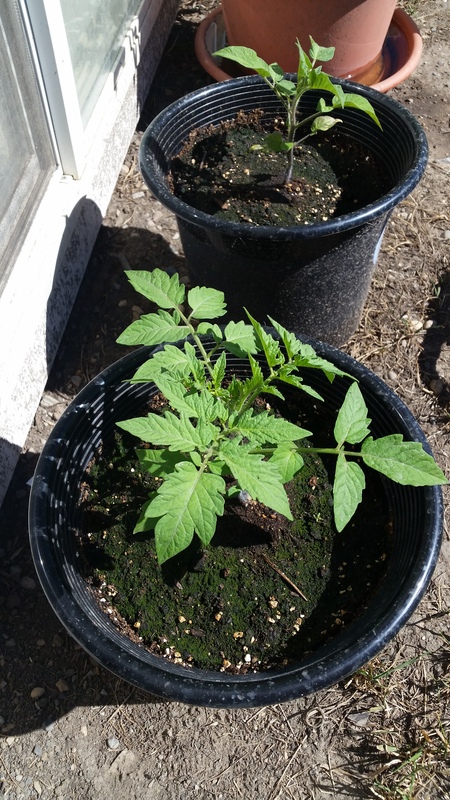 I believe they are two different tomato plants. I will know for sure if they ever come to harvest. There leaves look nothing like each other though, I will try to remember to get close ups this coming week. 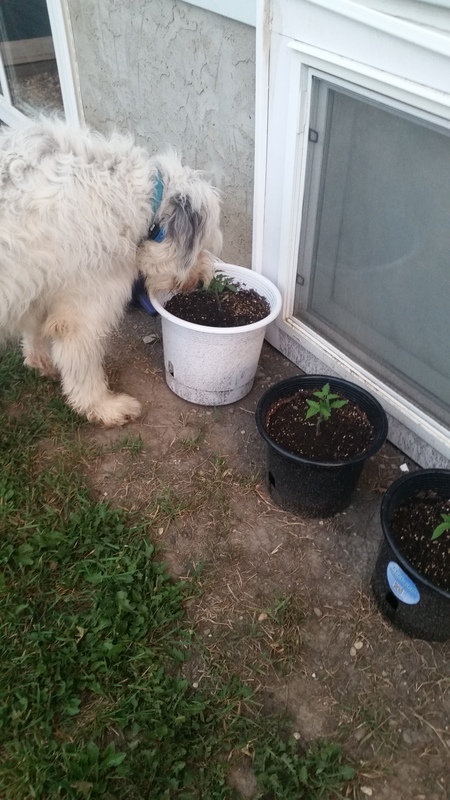 Every time we go out back Galaxy has to check on the plants. 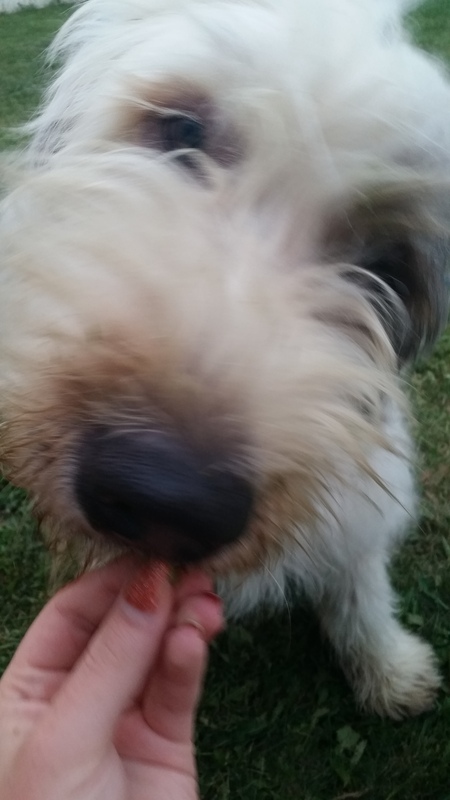 She has not tried to eat directly off any plants excluding berry bushes (knock on wood). She does steal everything after it has been picked though. So far beans seem to be her favourite. She did really seem to like the peas at moms last week too. That is it for today. Don’t forget to follow and like us on facebook at Chocolate Milks Cows! Now my French is not any good but I know that ‘jaune’ means yellow. I cannot remember if I had looked at these ones online but either way I am excited to try them. Yellow tomatoes are pretty rad. The Black Yum Yum’s I definitely looked at and very intrigued to see how they will taste. These are gorgeous when ripe. 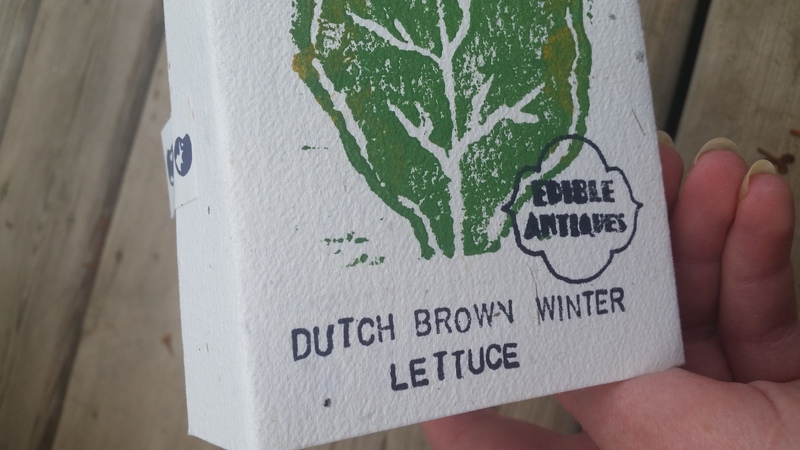 I chose the Dutch Brown Winter lettuce specifically because it a butterhead lettuce. I have some seriously high hopes for this one. These guys are also a butterhead lettuce and I originally skipped over them because I was firm on the Dutch Brown Winter. I am interested to see how this one turns out too. 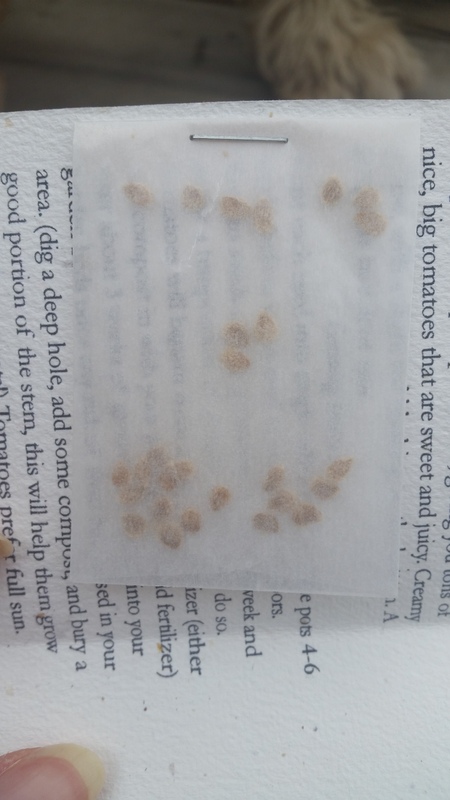 Well, those are the new plants currently (hopefully) germinating. 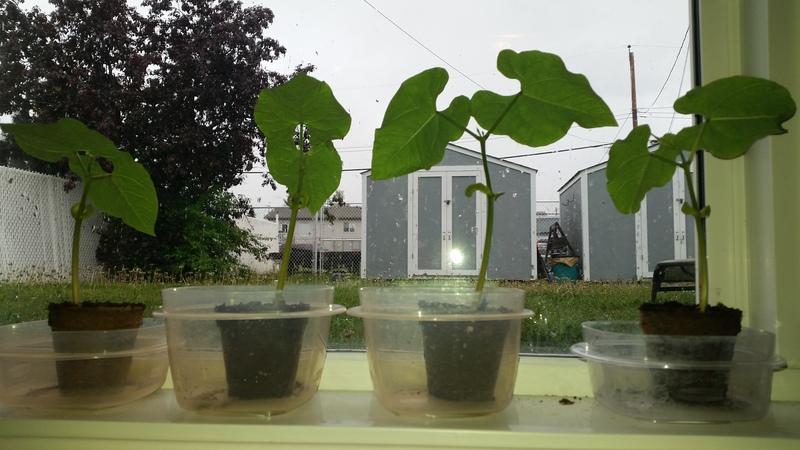 I was going to start another set of beans this round but I have not been able to get the other ones outside yet. They are ready to be hardened and than transplanted but we have had some crappy weather. I had them out for one day (and wow did they open up) but yesterday we had a rain storm with some very strong winds. There was no way they could have survived that mess. I will start the process over as soon as the wind dies down. I am crossing my fingers that it happens soon. Part to will be up tomorrow! When I started my gardening series I said I wanted to do a current review of Edible Antiques. I approached Stacey about this because I just really want to share her company. 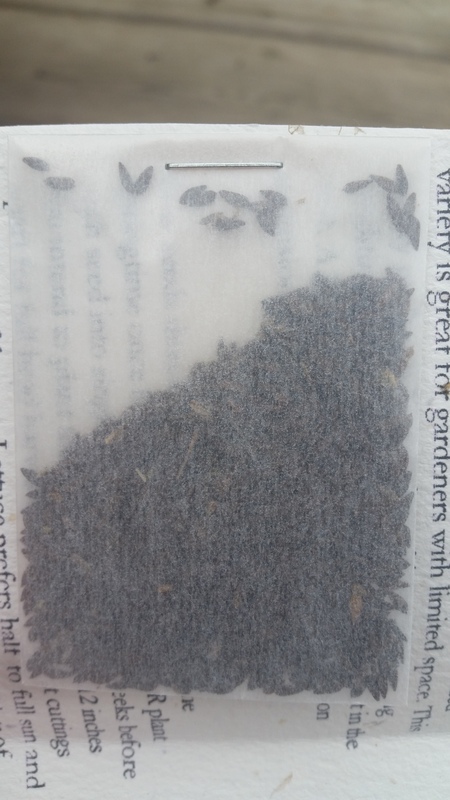 Now this was not the first time I purchased seeds from her but the last time was in 2014 which does not work for a review. So let’s get started. This is a small business with superior customer service. I also want to say that it is a Canadian company but on her page it does say she will ship internationally (with some restrictions). First when you go to website it is extremely easy to navigate (just go check it out for yourself). Now I have read everything on the site but I am here to talk about the purchase, process and product. Once you click on ‘shop’ you are brought to the products page. Very simple and everything is in their appropriate groupings. 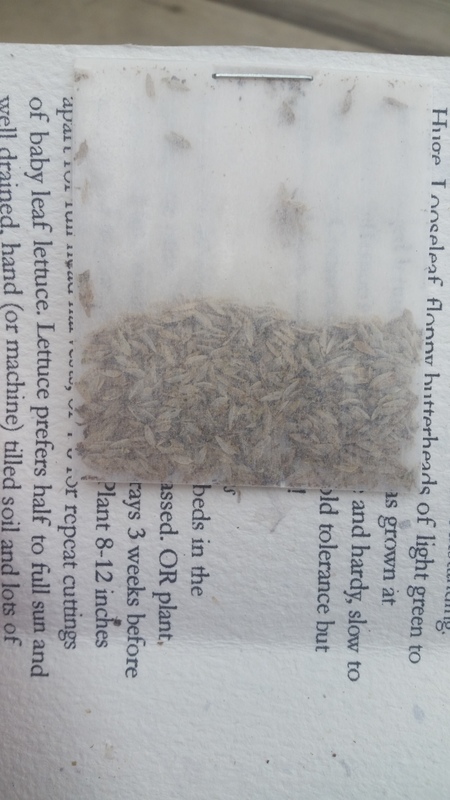 Very simple to find the type of vegetable seeds you are looking for. The pictures are a joy to look at too ha-ha. Checking out is simple; all three major credit cards and Paypal are accepted. Offering a secure check out. The items I ordered were sent out 2 business days after I placed the order. Back in 2014 Stacey had emailed to let me know when my items were shipped. However this time I emailed her first. So, I cannot say if she still does this. If you do have any questions or concerns she is quick to get back to you. I have been really slow about replying though. Every time I plan to do it I get distracted by something else (I am sorry!). Everything on her end has been good. We did have a hiccup though, as mentioned earlier Edible Antiques is a small business, a one woman show if you will. 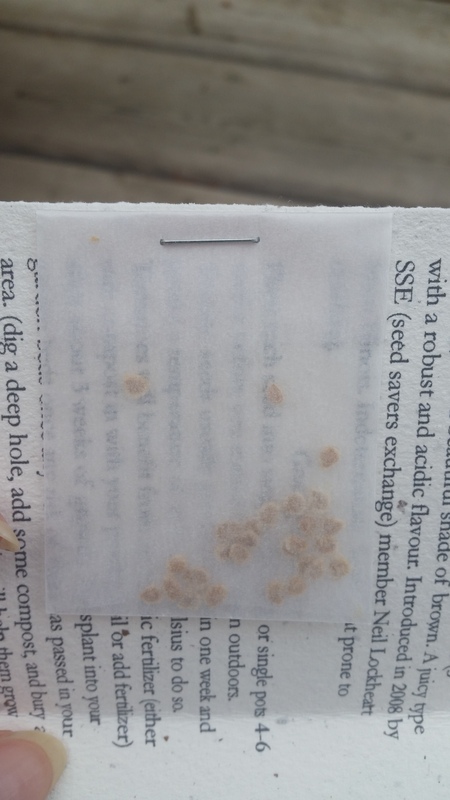 So, a couple of the seed packets I ordered were out of stock. I was promptly notified and refunded. Again amazing customer service. 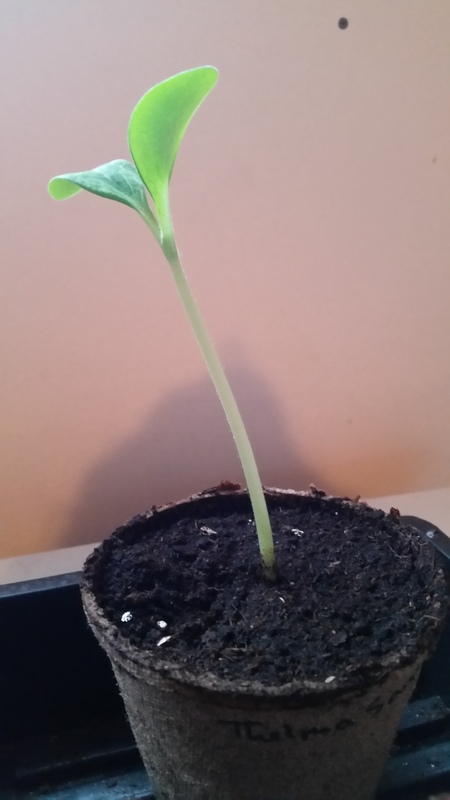 I received the seeds on June 6th I believe. Sometimes Canada Post is on par with delivery times. Is this packaging just the most gorgeous thing you have every seen. 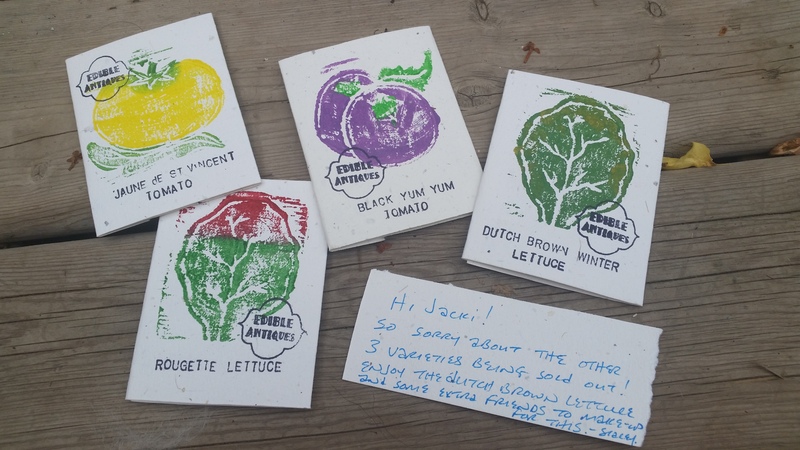 Very personal touch to them along with the packaging being made out recycled cotton and agricultural byproduct. 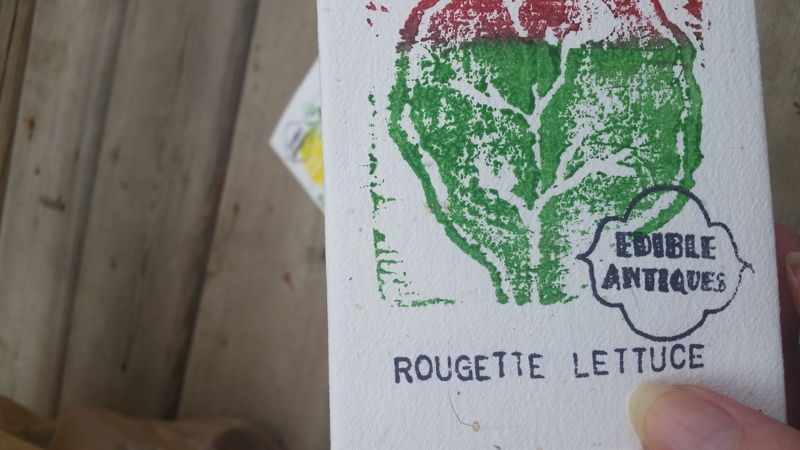 This means that you can put it right in your compost if you do not want to keep them (I probably will). From beginning to end I loved purchasing from here and I plan to again next year. Please go check her out, I’ve had nothing but good experiences so far! Don’t to like us on Facebook at Chocolate Milk Cows! I know this post is a day late but it has been raining and gloomy. I apparently just did not feel like posting. The plants seem to be doing great. Hopefully I can get some nice weather this weekend because these beans need to get outside. 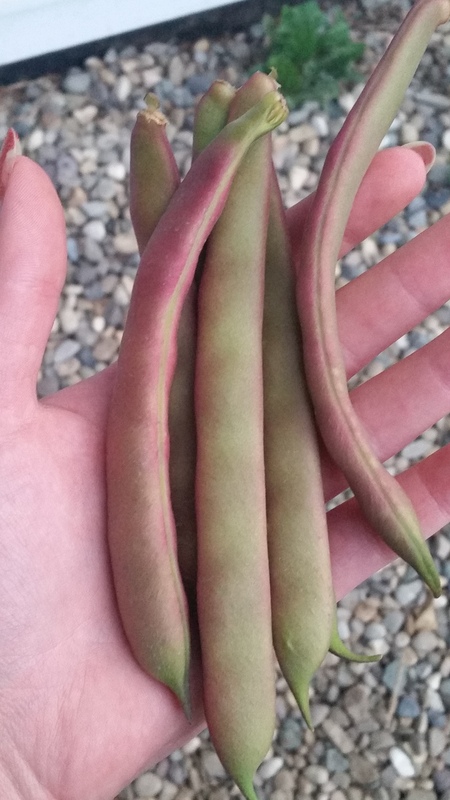 All four of the Tanya’s Pink Pods are doing great. They are very hardy and no week spots with very strong leaves. A close up you can see the main leaves are coming in. I was hoping for these to be out already but they’ve exceed the peat pot. They need more room to keep flourishing. The Ground Cherries are so tiny, these plants may not make it for the gardening season. 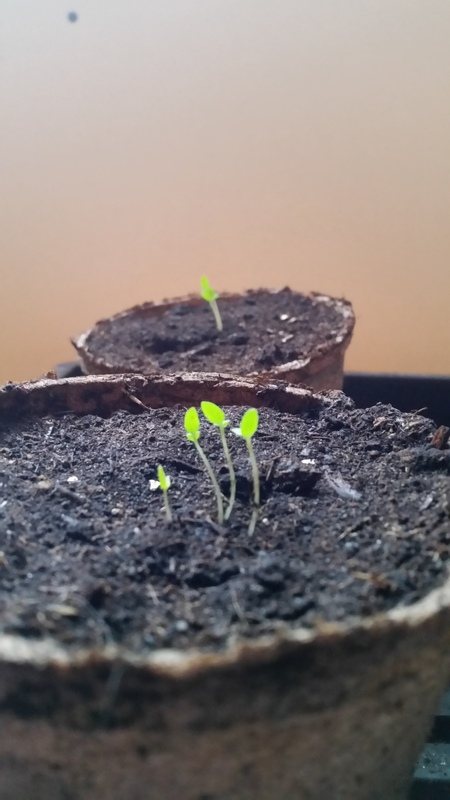 I really was not expecting them to look like tiny sprouts. So I am not sure what to think at this point. I am just happy that they did come up. 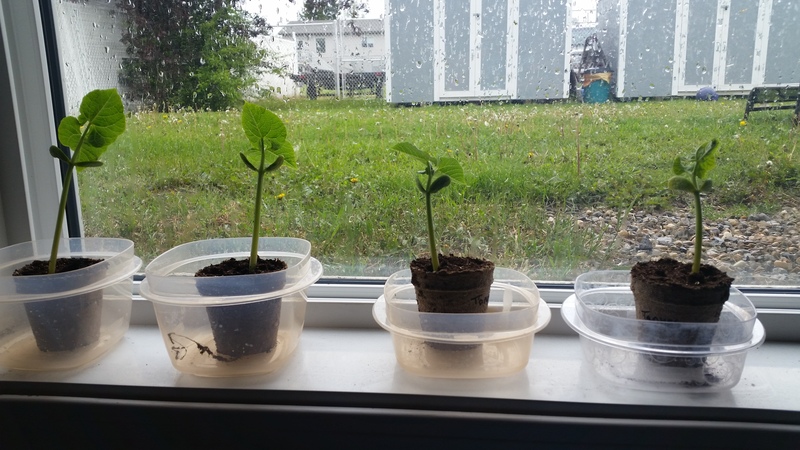 Both Sugar Baby watermelons are up and seem to be slow growing compared to the beans and squash. Maybe I am just impatient. However they seem to be strong. Last the Thelma Sanders squash. 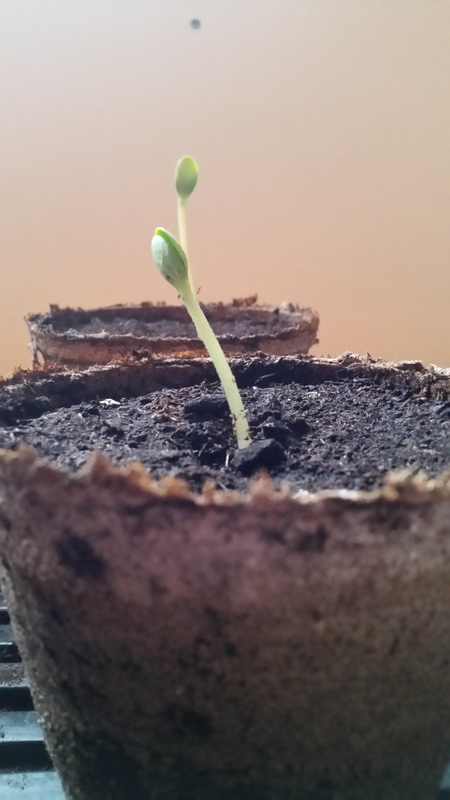 The second seed did not germinate; I was looking forward to this one but one is better than none. 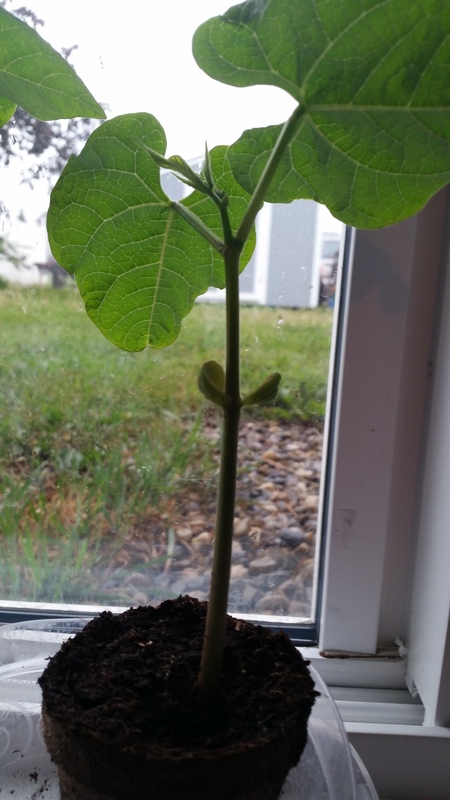 Plant is doing great and I can see the second set of leaves beginning to sprout. Maybe next weekend I can have this one outside. 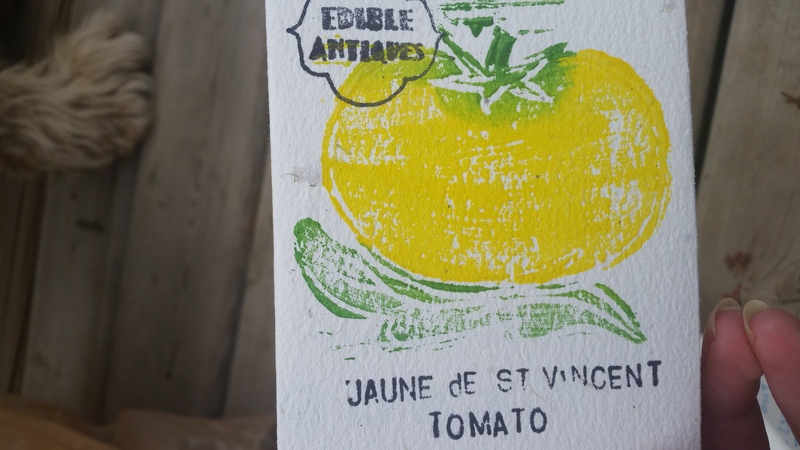 Now I received my order from Edible Antiques and I am so excited for them (I will post a review early next week). 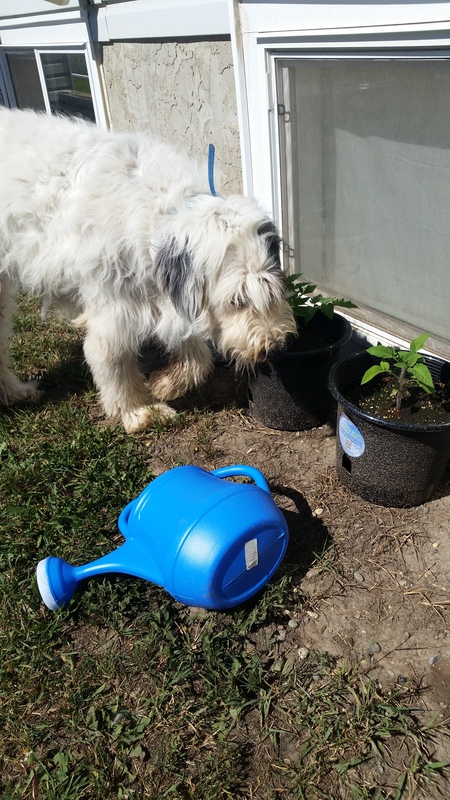 I was hoping to have them planted but my house has cooled down due to the weather. I would like it to warm back up to 71F before they are started. There are two varieties of lettuce and two varieties of tomatoes. I may end up sharing quite a bit of this stuff if I do actually yield any harvests. I also want to note that I am not feeling to hot about these peat pots I have been using. I will finish the year off with them but need to find an alternative for next year. I really do not want to use plastic but I may be able to find some to recycle from family and friends. I have an update here! It has been so difficult to wait a full week to do this. I mean that shows how excited I am about the plants ha-ha. 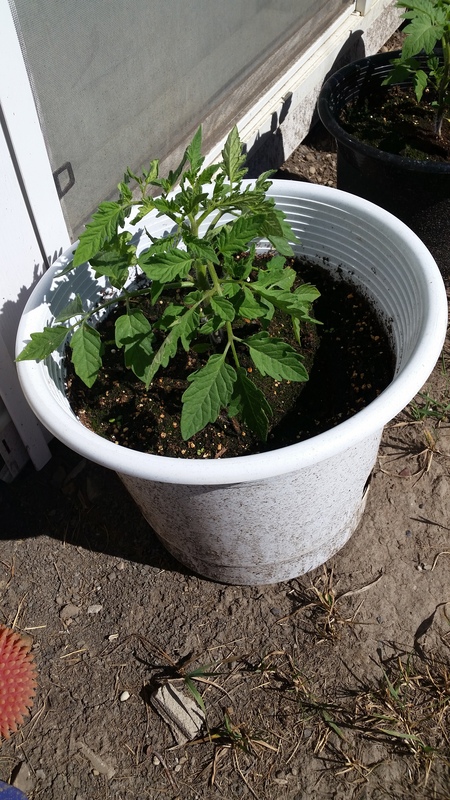 I want to note quickly that I had to update the title of the first post since this is technically week one (since a week has passed from the planting date). Let’s see what has happened so far. 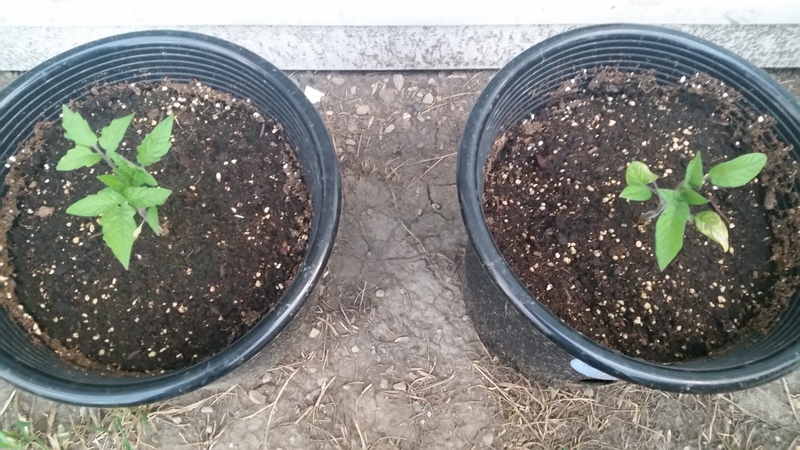 I took this photo on Tuesday (May 31) because I was so excited that plants were coming up. I had to show mom. You can see the Tanya’s Pink Pods are just sprouting like no tomorrow. The front Thelma Sanders squash is starting to poke out of the dirt. You can just barley see it but the front Sugar Baby watermelon is starting to crack the surface. On to the pictures for today though. I have moved my plants into the laundry room (it is kind of muggy out today) since this will closely match the amount of sun they will receive outside. Now the Tanya’s Pink Pods are just flourishing, I should have used a bigger peat pot though. I did think about this after. It’ll still work out though, I will just upgrade the size on the next batch. 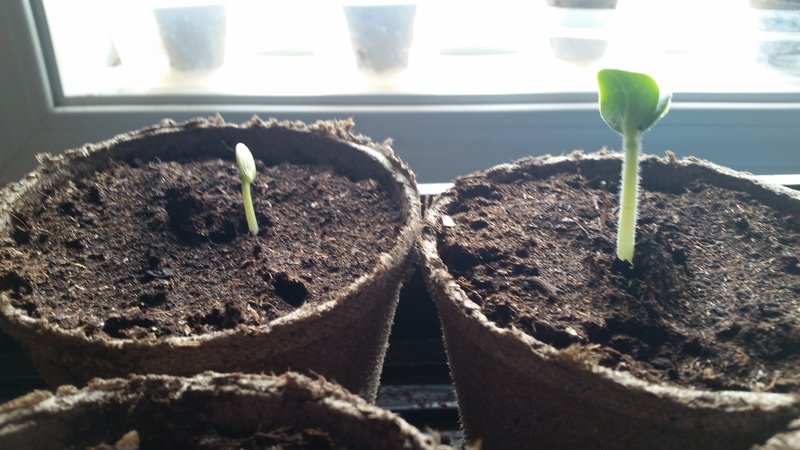 On the left we have the ever so cute plant Sugar Baby watermelon and on the right there is the Thelma Sanders squash plant which seems to be going strong. 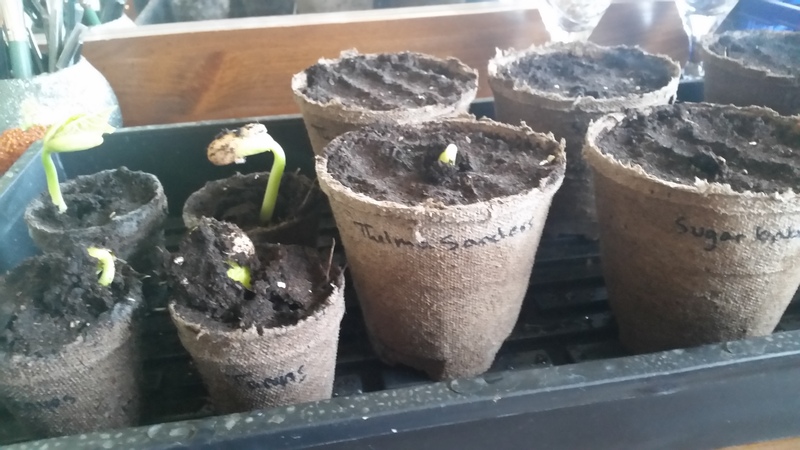 These guys still have a ways to go before I am ready to transplant them. So far I have not seen any cracking on the other plants. Although I have not lost hope yet. I do believe I start the Ground Cherries wrong though. I will give them another four to five days before giving it a second shot. At this point I am just happy there has been some success. 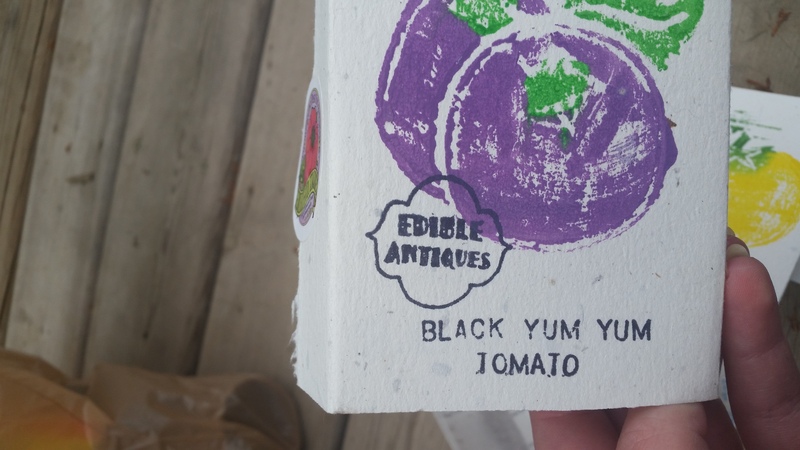 I have some stuff on their way from Edible Antiques which I am insanely excited about. I also got the okay to do a review but I have been talking about Stacey’s operation enough already that you just need to go check out what she has and order! I cant wait to see the growth and changes next week. 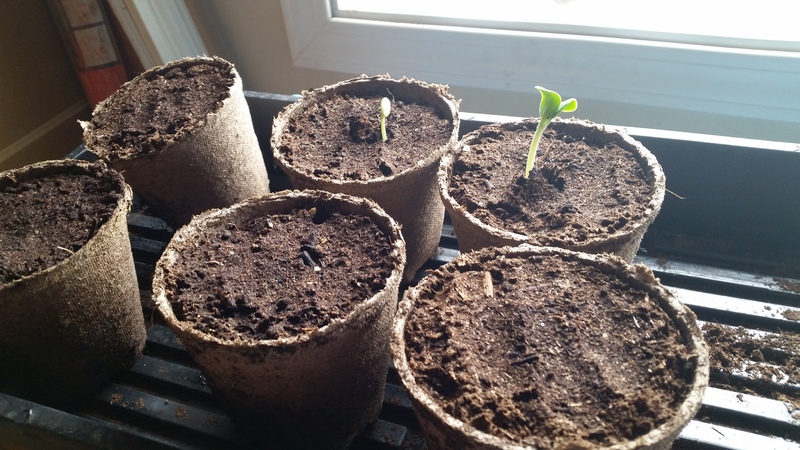 I also cant wait to plant more vegetables. Don’t forget to like us on Facebook, Chocolate Milk Cows!